Have you ever been thrifting and found something or several things that you just couldn't pass up because the price was so right even though you had no idea what you might do with said things? I have a confession to make: I have. In the mean time, I thought I would share a few ideas. 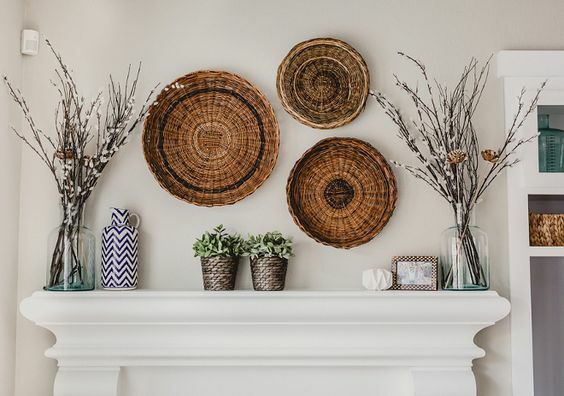 One of the biggest baskets I've ever seen used on a wall was at the Southern Living Idea House in Birmingham last year. You can take the tour here if you missed it. This entrance was designed by Ahsley Gilbreath. They are the perfect and interesting alternative to pictures for a wall. They would also be a good choice for an odd spot in a room that needs filling. And don't count out that space over the mantle. 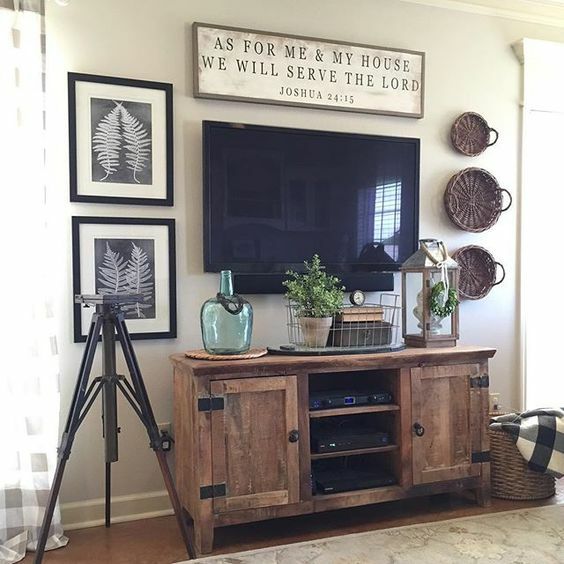 Baskets can also contribute beautifully to completing the space around the television that is often a mystery to decorate. Really, they are the perfect addition to any vignette, and throw in a little blue and white... So good!! 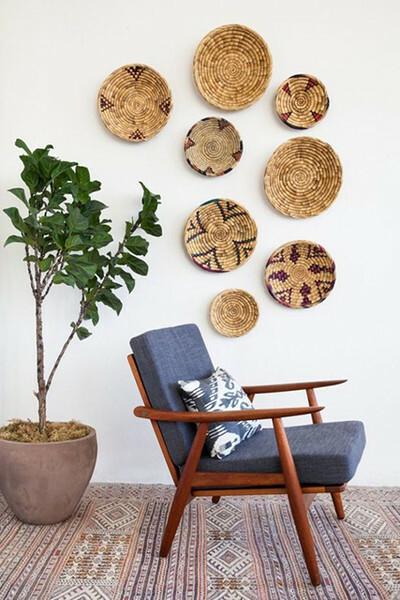 How do you feel about baskets on the wall? Kathryn, I love your baskets! Your inspiration photos are wonderful as well and I love each of them. 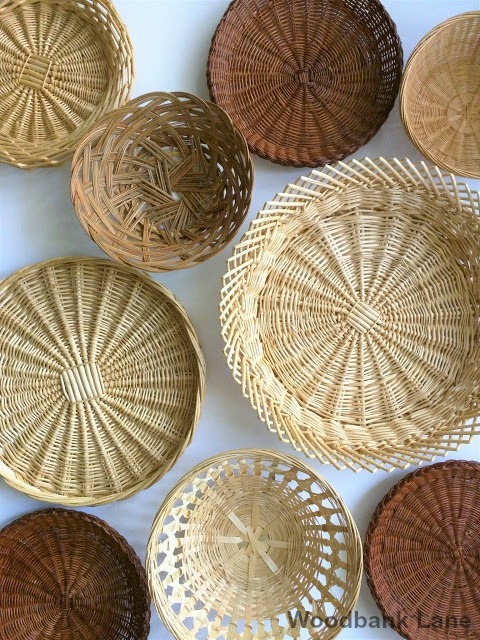 Baskets add so much texture, shape, and interest to a wall. You can't go wrong! Thanks, Elizabeth! I can't wait to have a little time to play with them.